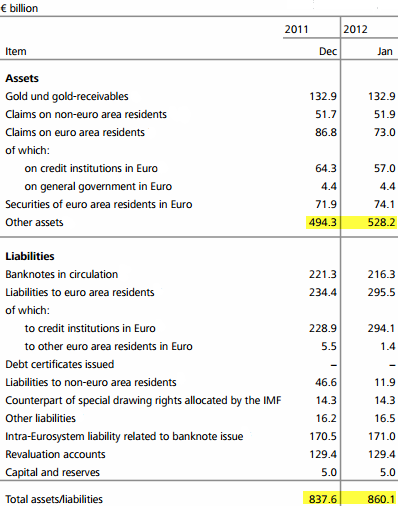 With the bulk of the EUR 523bn LTRO-II participants being non-German banks, the TARGET2 imbalances will increase further. Bundesbank’s balance sheet is expected to grow materially, with the bulk of the expansion coming from rising TARGET2 claims - on the asset side. The periphery central banks' balance sheets will grow as well, but with TARGET2 claims on the liability side. On a consolidated basis the ECB will show an increase in long term loans to banks on the asset side and a rise in deposits/reserves on the liability side.